Flynn Pyykkonen, a professional makeup artist and natural redhead, answers all questions! 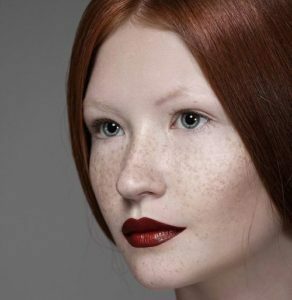 Flynn Pyykkonen is a professional makeup artist based in New York City and a natural redhead! Her work can be described as clean, fresh, and flawless. She works in film, print, editorial, advertising, fashion, and television. 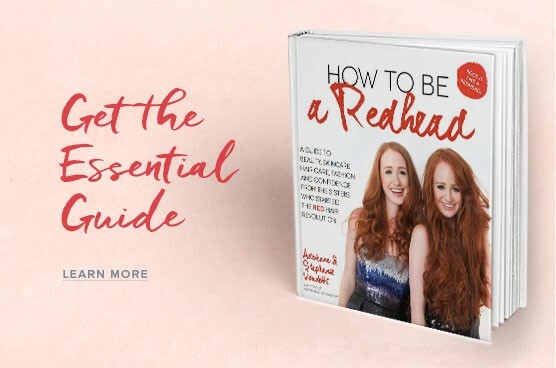 Flynn was the makeup artist for the “How to be a Redhead” beauty book, (behind the scenes photos from the shoot are below) and we were so excited to dig into the common questions redheads have when using makeup. From left. Stephanie, Flynn, Adrienne taking a selfie on set of the “How to be a Redhead” book photo shoot. 1. 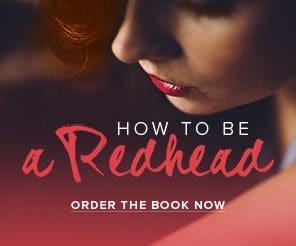 What is the first thing redheads should do when putting on makeup? 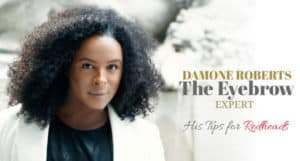 First, she recommends always having a cleansed and moisturized face. She only uses an eyeshadow primer (she loves Urban Decay’s primer for the eyelids). She does not usually use a face primer but if she does, she recommends Too Faced Primer. She is big into sunscreen for the face. She loves the Neutrogena Ultra Sheer Non-Greasy Sunscreen Stick for Face & Body, Broad Spectrum SPF 70. 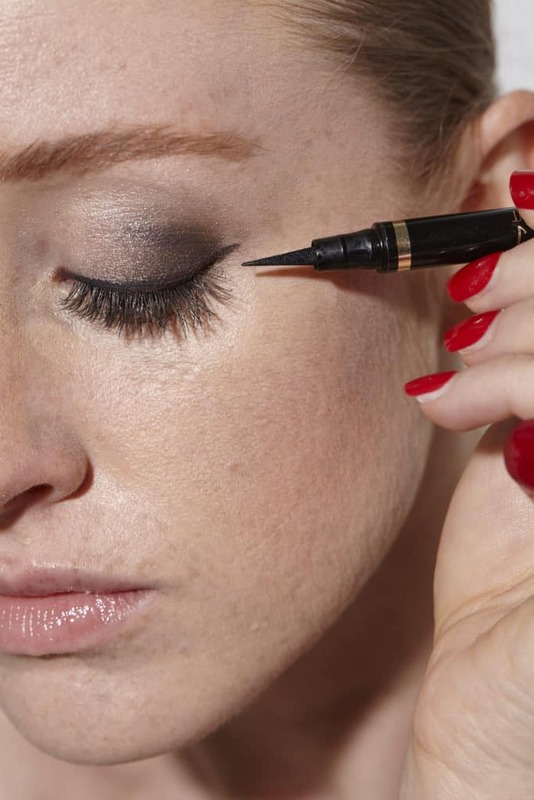 “It is great for touch ups throughout the day,” Flynn says. She also recommends Kate Somerville UncompliKated SPF 50 Soft Focus Setting Spray and Face Sunscreen spray because it gives a dewy look. 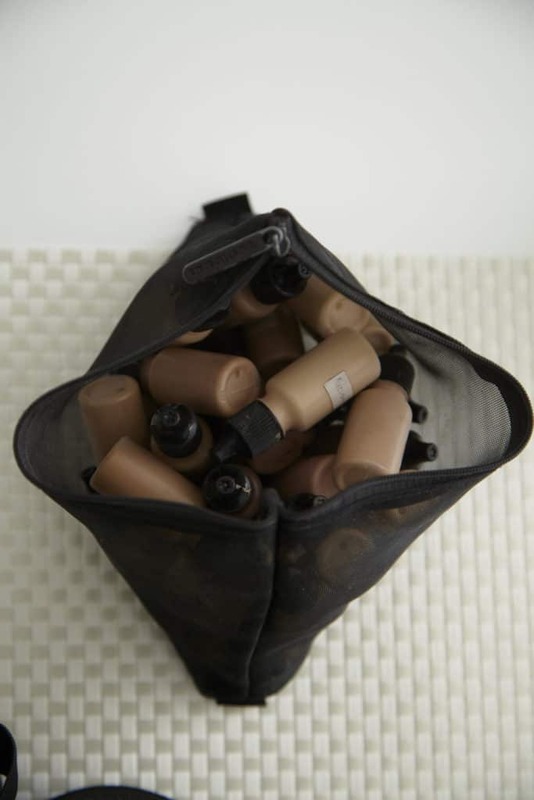 Photo of Flynn’s makeup bag on set. Giorgio Armani Power Fabric Long-Wear High Cover Liquid Foundation. “It’s a classic and I love the lumenosity,” says Flynn. 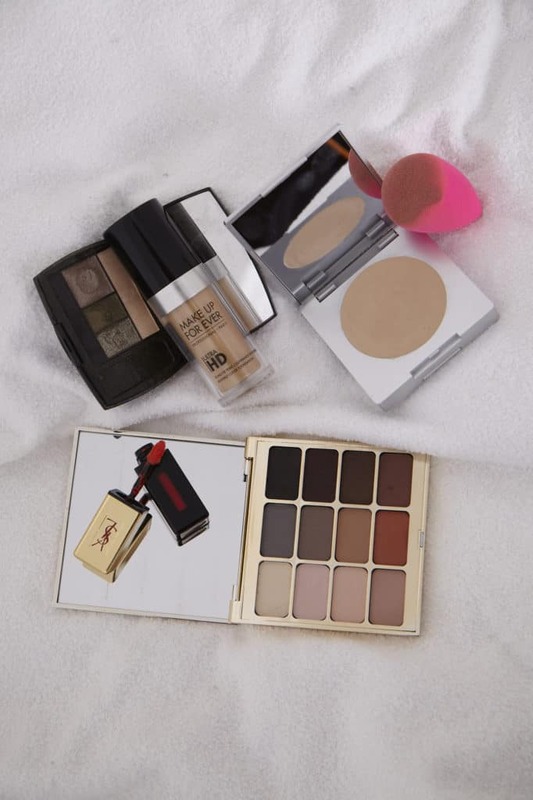 Cle de poe, she loves their concealer and foundation. Flynn’s foundation bag on set. She thinks a rust eyeshadow is so complementary with red hair. Try Colourpop Super Shock Shadow in Melrose and Violet Voss – HG – PRO Eyeshadow Palette. She also thinks blues and teals look great with red locks. She uses NARS ‘Abbey Road’ Larger Than Life liner. Flynn also adores pink with red hair (a big myth busted!) and uses Urban Decay’s pink shades. Stephanie using the Stila liner on set of the “How to be a Redhead” book photo shoot. Anastasia Beverly Hills – Brow Wiz – Auburn. 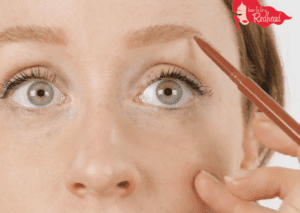 Sometimes she finds this shade a bit too dark for redhead eyebrows, so she will wipe off the access product so it isn’t too dark, then applies. Flynn only wears black mascara, but talks about how she loves to rock her blonde lashes too. It took her a long time to embrace them, much like Adrienne and Stephanie. She loves lashes! If she wants more drama, she will use Ardell individual lashes to enhance the eye. Stephanie applying Ardell individual lashes on set of the “How to be a Redhead” book photo shoot. MAC Ruby Roo – her absolute go-to red shade. Stila lip stains — loves all of the shades. Stephanie applying bronzer on set of the “How to be a Redhead” book photo shoot. 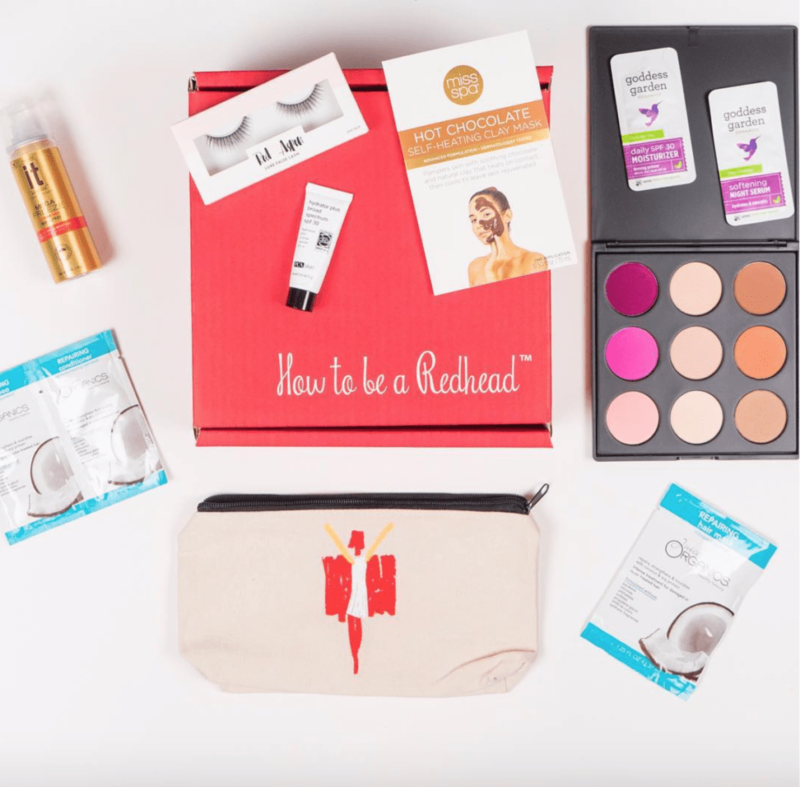 Subscribe to the H2BAR Box: A monthly subscription beauty box for redheads. 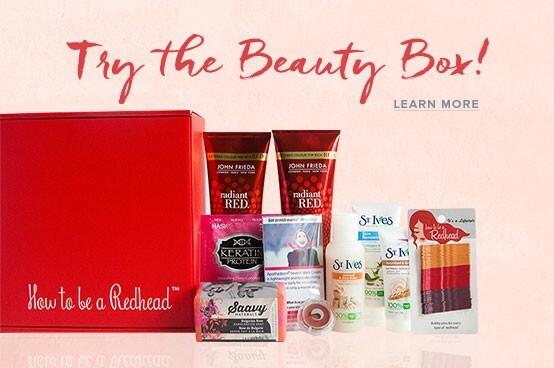 Use code: REDHAIR for 15% off.